Last night’s meeting, held in the gym of Edna Brewer Middle School in Glenview, was the second of three town halls the city is holding on the budget, inviting residents to voice their savings ideas. The first was last week at the East Oakland Senior Center, and the final one will take place early next week. Oakland North is covering all three meetings in an examination of how people’s priorities vary from neighborhood to neighborhood, and how those priorities will affect budget decisions. About sixty people gathered for last night’s meeting. The room was still sweltering after yesterday’s heat, and many people used their handouts of pie charts and bar graphs to fan themselves. Nowhere was the difference more apparent than in last night’s brief discussion of stimulus money. “Stimulus money is not going to save us,” said Brunner. It would be nice to have, she said, and Oakland has applied for everything it’s qualified for, but the city might not get it. And even in a best-case scenario, she said, stimulus money will not fix the budget. 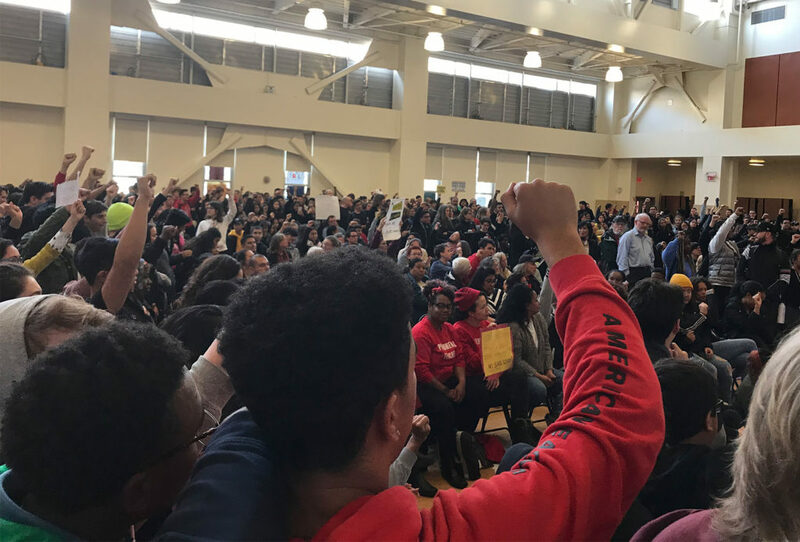 Her assessment of the situation was a far cry from last week, when Dellums assured the East Oakland crowd that he had “looked those folks in the eye,” in Washington, and that they knew the city needed help. 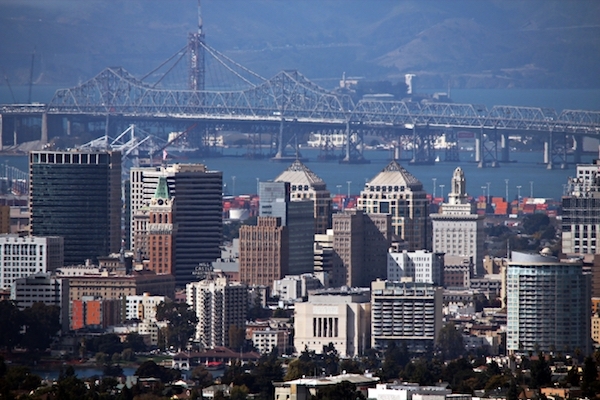 Brunner and her fellow councilmembers emphasized that the city was leveraging Dellums’ national-level connections to secure money for Oakland. But unlike Dellums, they emphasized that the city couldn’t count on those funds. A number of other suggestions came out as the night went on, both from speakers and from written questions. Some people favored renegotiating the charter of the Port of Oakland to wring more revenue from it; others thought Oakland should do more to develop new revenue sources. One questioner suggested that the city consider bankruptcy. (“We’re not there yet,” said Lindheim.) Towards the end of the meeting, one woman made a plea for preserving libraries and Parks and Recreation as some of the only city services that have “an unalloyed positive relationship with the people of Oakland.” Her statement was the only one to draw applause from the whole room. The final community meeting on the budget will be held Monday, April 27 at the Lakeside Garden Center at 6:30 pm. More info is available on the Mayor’s website.